You are familiar with Akon because of his multi-platinum recording fame. With smash hits like “Smack That” and “Locked Up”, he his difficult not to identify these days. But what you don’t know is Akon grew up in Senegal, West Africa with no electricity, likes or many of the basic necessities we take for granted. Electricity is one of those luxuries that until you live without it, you don’t realize how important or wonderful it really is. Many African Americans take this very thing for granted, but not Akon. Akon lived this existence during his childhood. However, he was able to experience the benefits and opportunities electricity can bring when he came to the United States with his father. He admits the opportunity to move to America was an important and powerful one for him. Akon wants to bring the dream and potential of electricity to not only his country of Senegal, but as much of Africa as possible and he is willing to use his fame as a catalyst to this project. We think this is a wonderful use of fame, fortune and exposure he has in the world. He started the “Akon Lighting Africa” project. 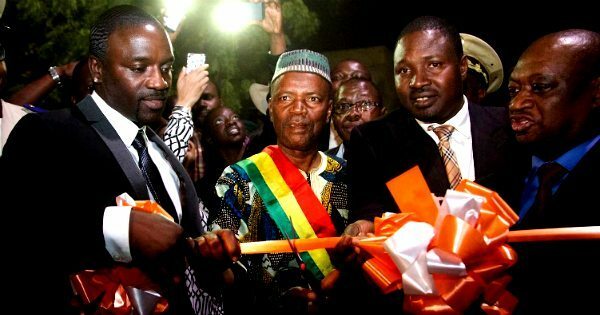 And with a few corporate sponsors, African business owners, and a whole lot of energy, the goal is to bring electricity to 1 million African homes by the end of 2014. African villages will receive residential solar systems and solar powered street lights as well. This will not only make them safer by allowing people to be able to see, but open up a world of opportunity to the African people impacted. The program operates in 14 African countries including Senegal, Mali, and Burkina Faso. However, don’t call this charity work. Akon does not like this. According to the World Bank, over 550 million people are living without electricity in Africa. This means Akon has his work cut out for him. But if his plan and model works, it could be the very stepping stone Africa needs to launch itself into the 21st century. Next articleAre Black Americans Intentionally Nig-norant?